Family Game Night is a wonderful way to have fun with the entire family. 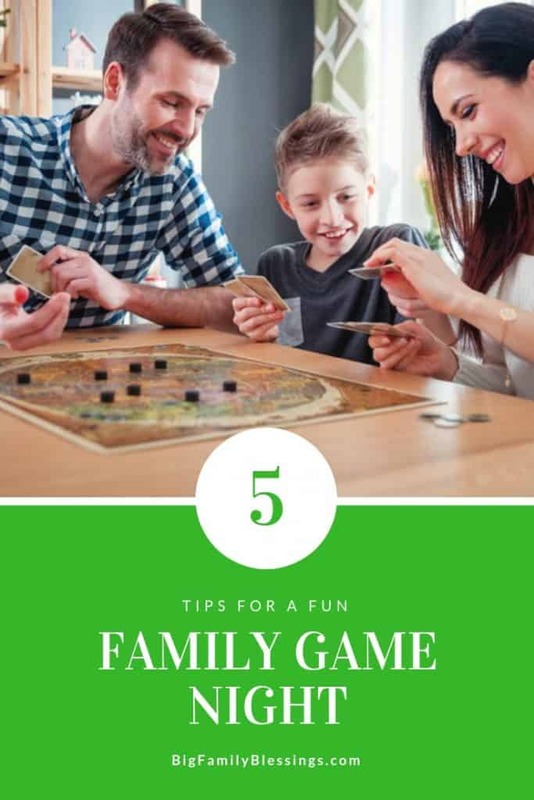 Create a Family Game Night tradition with these 5 easy tips for a fun Family Game Night. Put electronics in time out. Guard Family Game Night quality time by turning off all devices, computers, and the television. Set a timer. Use a timer to vary games often, before boredom sets in. Rather than playing one long board game all evening, set a timer to end games and move on to another activity before the game gets boring. Think outside of the box. Family game night isn’t just for board games. Consider rotating through playing one board game, then one non-board game to keep monotony at bay. If you can mix active games between sedentary games, that’s even better! Consider playing cards, charades, relay races, twister, or tag. Let everyone choose one game. Since you are setting a timer for game, everyone can have time to play his or her choice with the whole family. 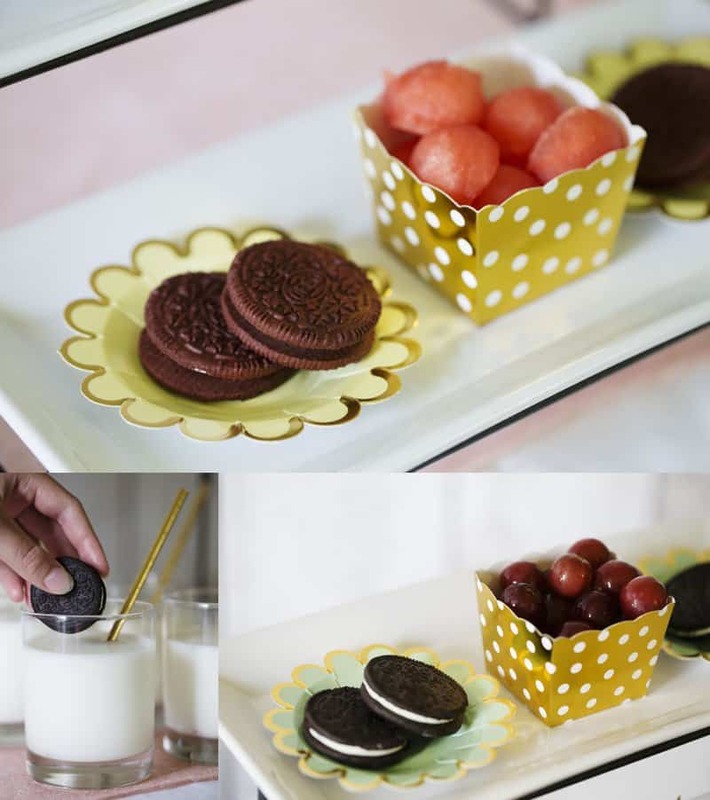 Create a self-serve snack table. 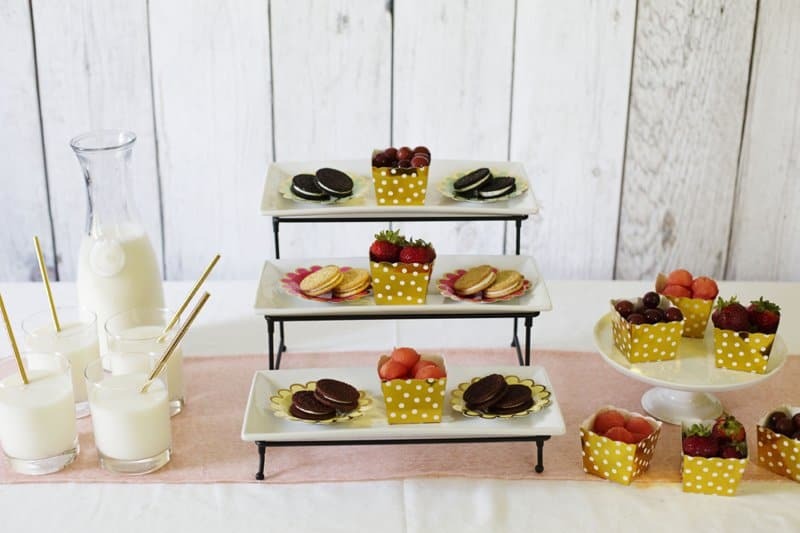 At my house, a snack table often means hearing a lot of “Mom, can I have this?” and “Mom, will you pour that?” Make snacking fun for the kids and easy on Mom by placing single serving portions of snacks and drinks on the snack table. 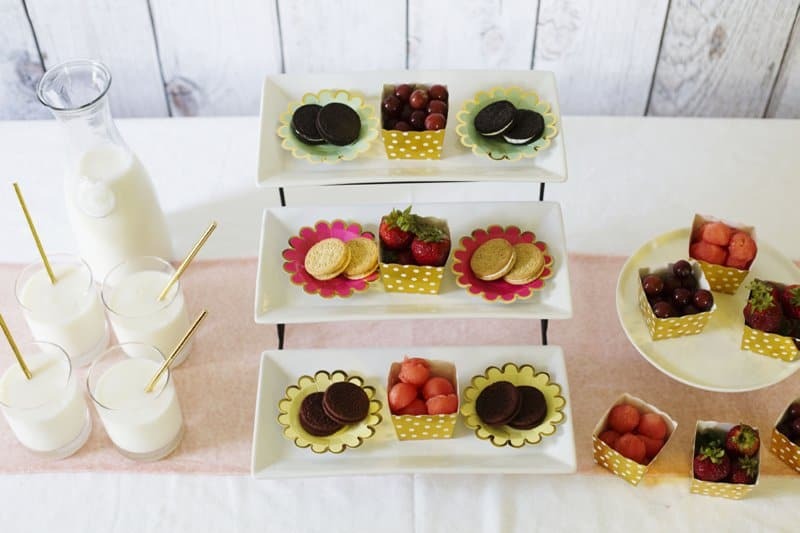 Choose small containers for single serving size snacks such as party treat boxes, appetizer size plates, or cupcake wrappers. Not only can children easily help themselves to snacks, but it’s also the perfect portion to eat between games during Family Game Night.